Posted on March 28, 2019 at 12:10 pm. As beautiful and serene Sun Moon Lake is, a fitting complement on a visit here is a luxurious stay at Fleur De Chine. 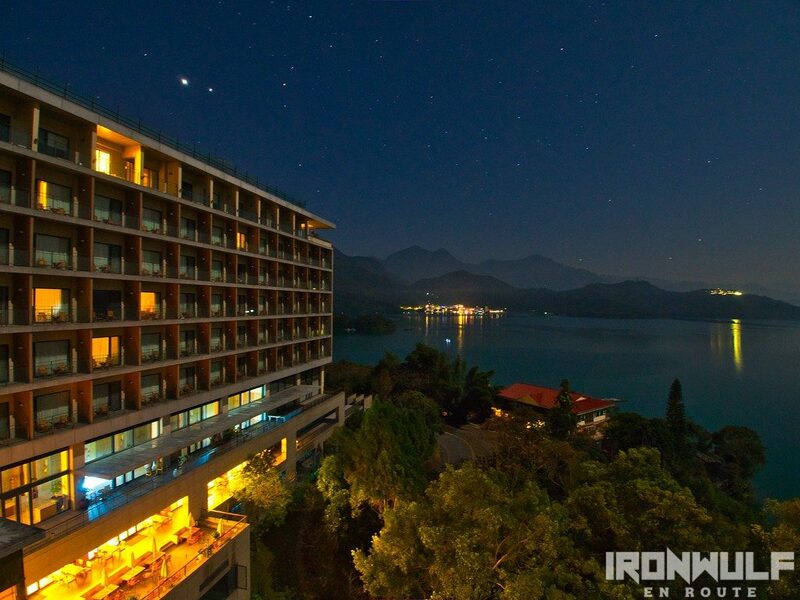 A 5-star resort at the northern shores of Sun Moon Lake. Home of the first ever hotel built on the site in 1975 under a different name. After a major Taiwan earthquake in 1999 where the original hotel crumbled, the hotel was reborn as “Fleur de Chine (Flower of China)”. Along with the renovation is a discovery of a natural hot-spring in the area. A high quality “sodium bicarbonate” hot spring which is colorless, odorless and potable. 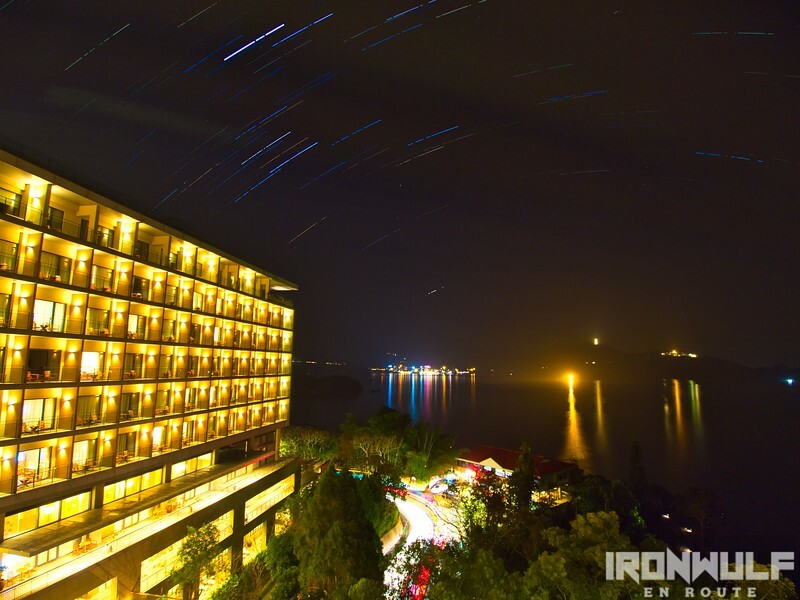 It became the spring board attraction of the hotel aside from its key location views of Sun Moon Lake. 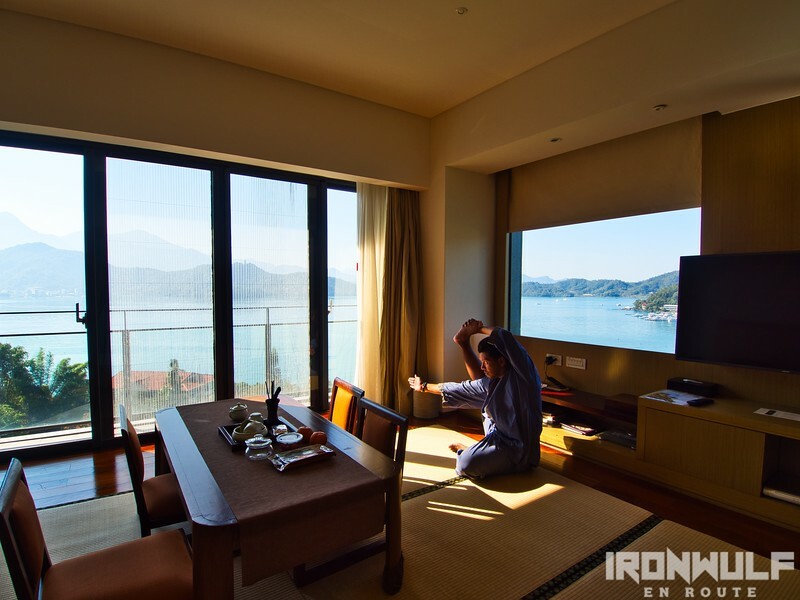 Fleur De Chine enjoys a hillside location at the northern peninsula of Sun Moon Lake. 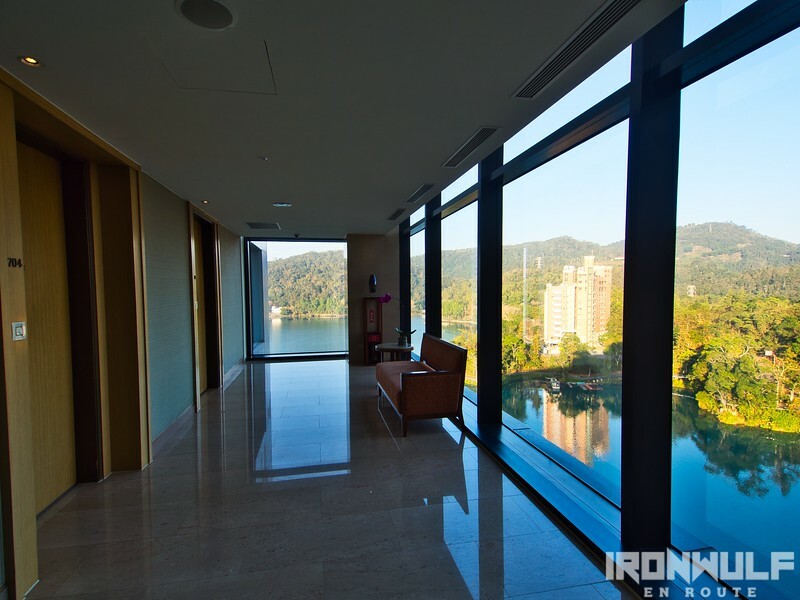 Through the windows and glass walls, the surrounding vistas were simply breathtaking. 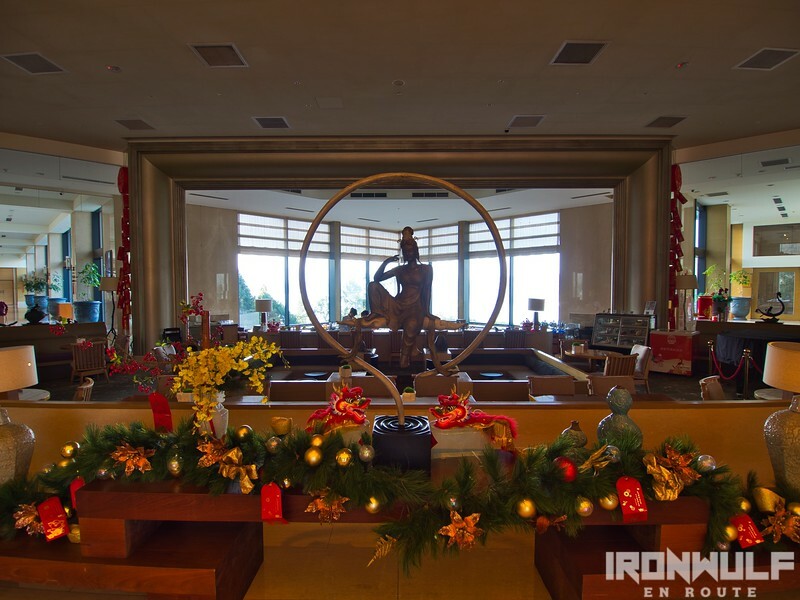 The hotel is easily accessible via the lakeside Zhongzheng Road. The hotel interiors exudes elegance and class. Simple yet tasteful furnishing and interiors that compliments the surrounding. The reception and lobby area is spacious with touches of greens from the wall plants. High glass walls and earthy, neutral colors make sure to highlight the natural scenery. Fleur De Chine have several room types. There’s the Mountain View and Lake View rooms. 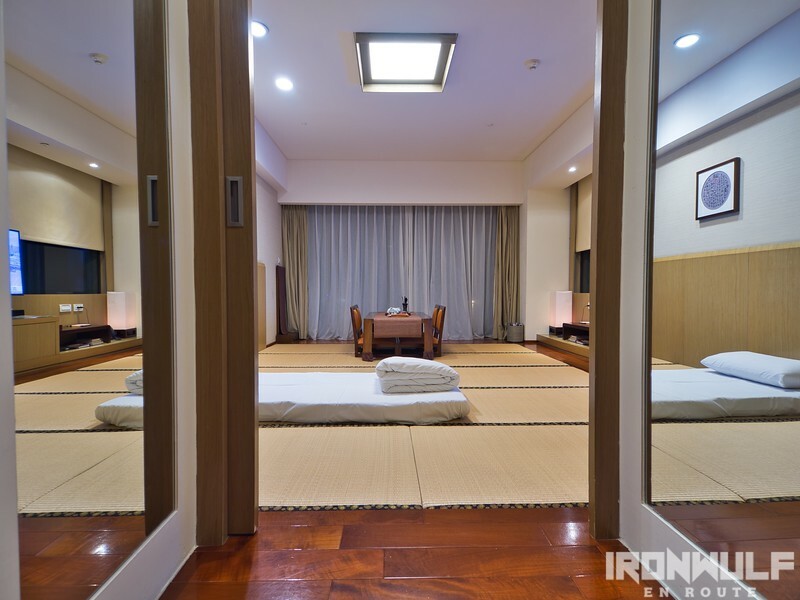 Whichever view type, there are also two categories in terms of design – the Classic Style rooms (regular beds and flooring) or the Japanese Style rooms with tatami floors. I had the chance to stay at the Classic Japanese Style corner room at the 6th floor. 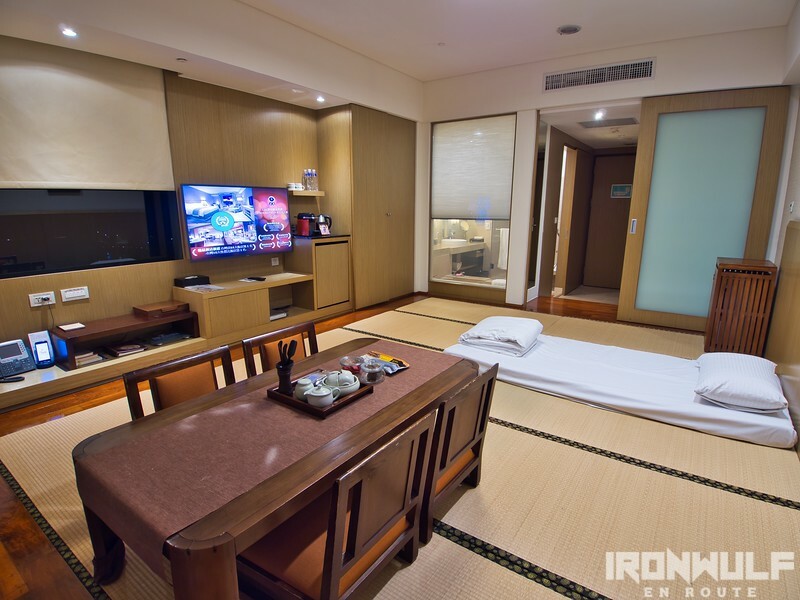 A huge 42 sqm space with an in-room sliding door separating the toilet and bathe area from the tatami-roomed floor. I love the flooring and the low table and chairs. On one side are some of the amenities from a huge LCD TV, refrigerator mini-bar, usable Handy Phone with internet. 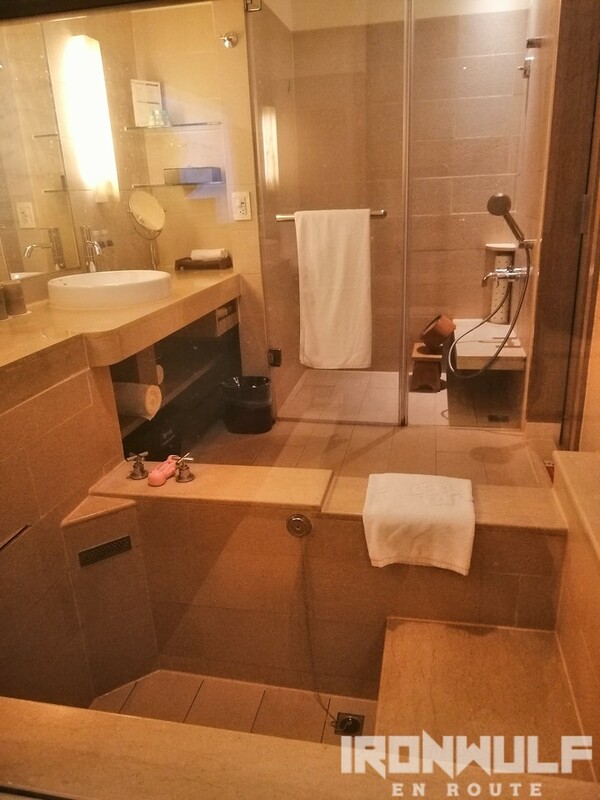 Then the bath area have its own marble hot spring tub, a Japanese temperature-controlled with built-in bidet toilet seat and quality bathe toiletries. My favorite would be the private balcony with the view of the lake. Didn’t have chairs here as well but an extended ledge to seat on much like traditional Japanese houses. Oh I spent some time here to enjoy the views while sipping on tea or coffee. 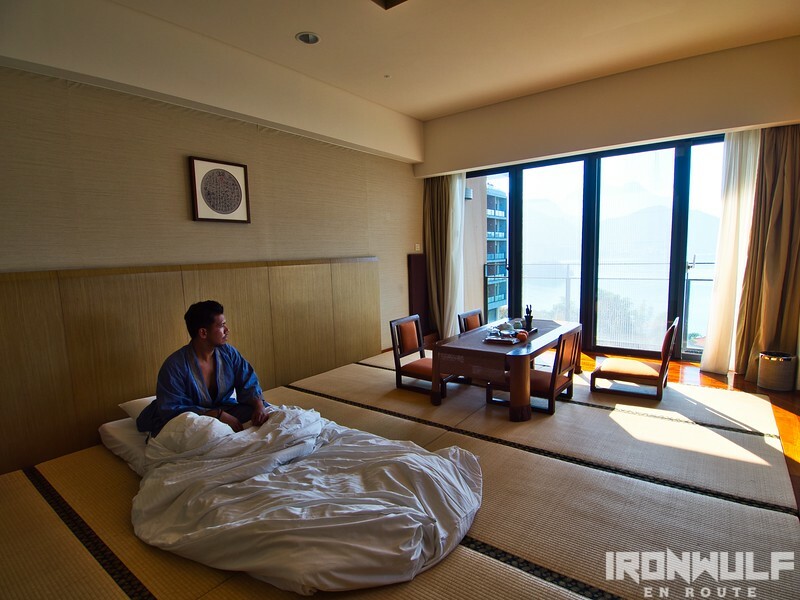 Each room also comes with your own Yukata, a Japanese garment you can sleep in or wear for the Onsen. Fleur De Chine is known for its Hot Spring at the 1st floor. 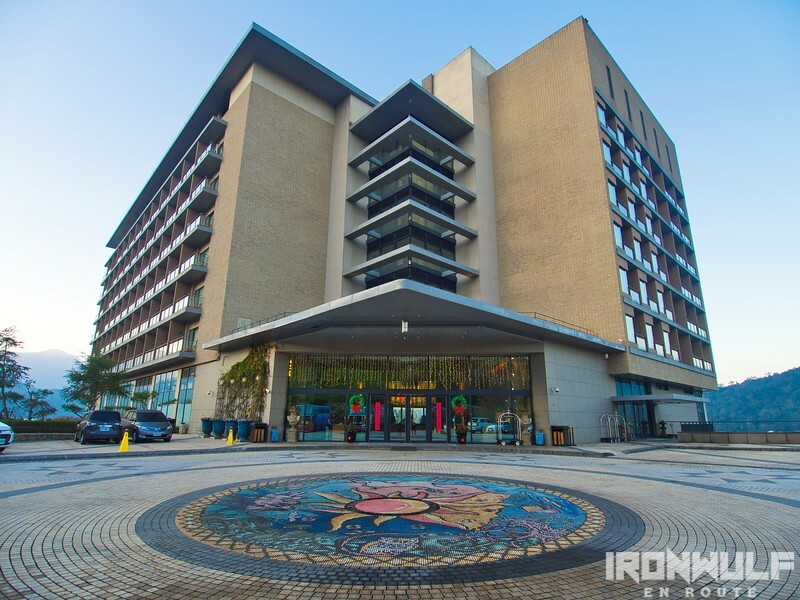 An indoor 42 degree sodium bicarbonate hot spring they dub as the “hot spring of beauty”. 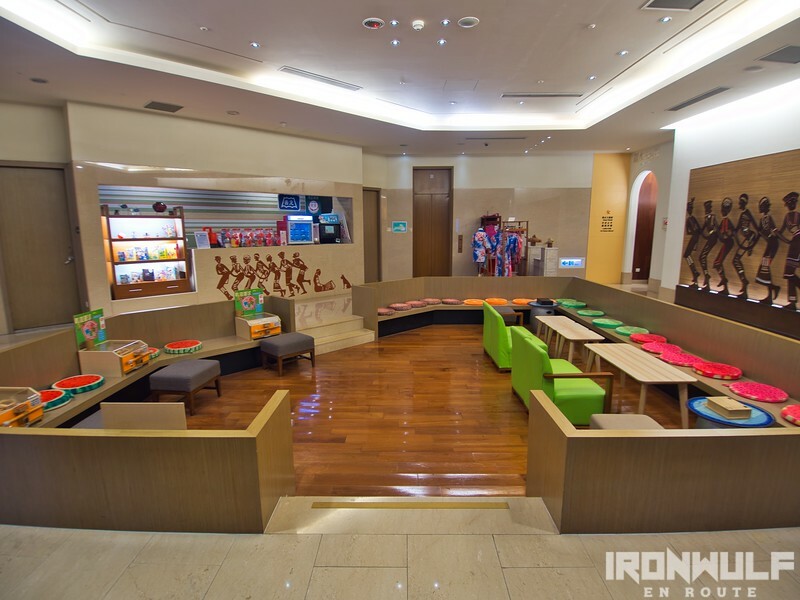 The first floor also has the game room and a modest gym. At the 2nd floor is the Crimson Dining area where we had breakfast. 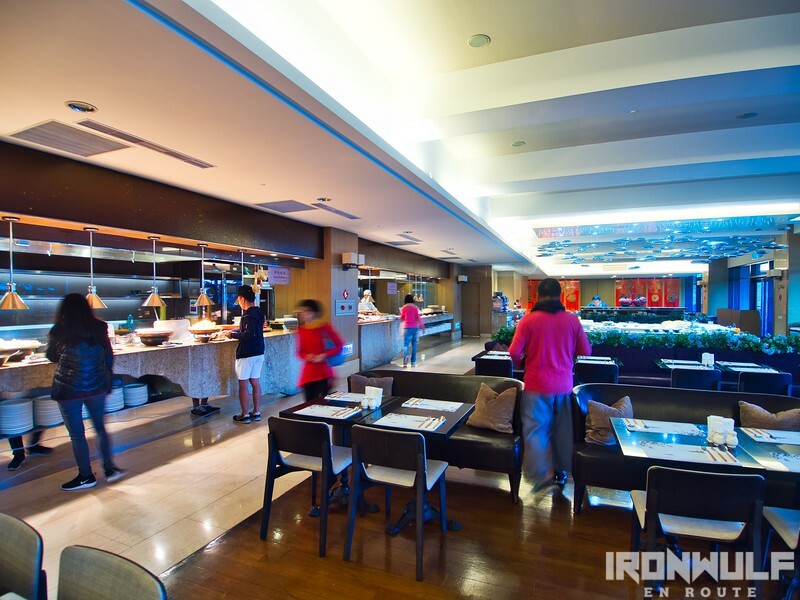 A sprawling dining area with impressive variety of dishes to try. Really enjoyed their salad spread choices. They also have a spa service which we weren’t able to try but we did avail their bike rental service. They have quality bikes that we were able to use. 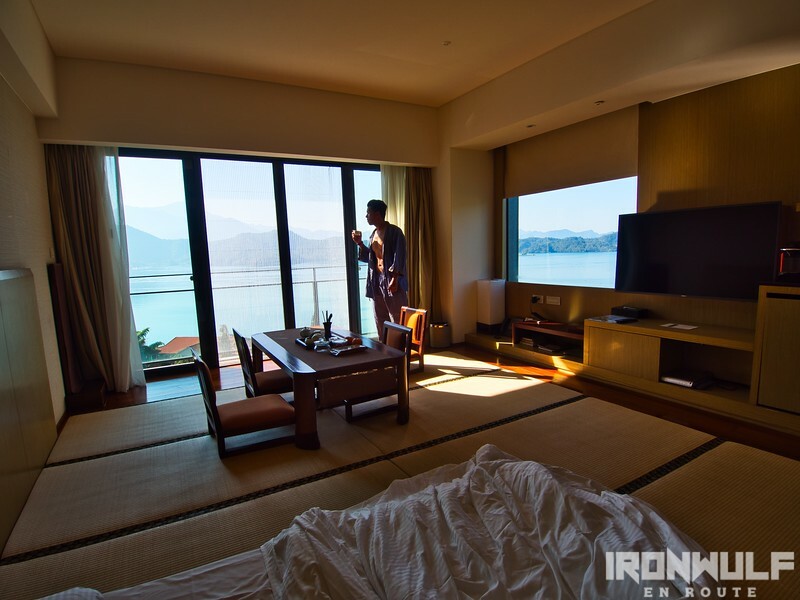 Sun Moon Lake is already brimming with tranquility and beauty only enhanced by a stay here at Fleur De Chine. It has the quiet elegance, simple yet refined that allows the natural beauty of its surrounding to shine through. 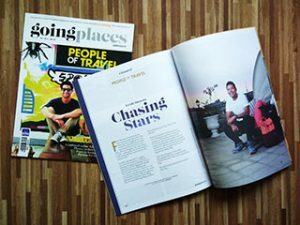 Fleur de Chine isn’t cheap, a nights stay here would cost at least NTD 8,500 but it’s well worth the price if luxurious pampering and maximizing the facilities is what you look forward to.